Legionella bacteria are found naturally in fresh water and might easily exist unnoticed leading to illness and mortality in long term care, clinics, hospitals, and hospitality facilities. According to the Centers for Disease Control and Prevention (CDC) and The Centers for Medicare and Medicaid Services (CMS), complex water systems in multi-bed facilities are at increased risk for Legionella infection outbreaks, and studies indicate implementing Ultraviolet (UV) water treatment technology is a proven solution. 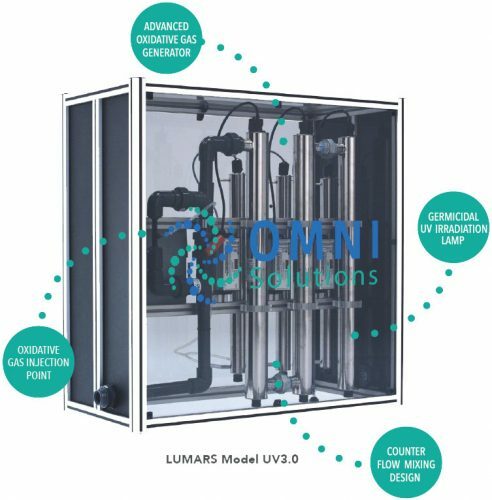 OMNI Solutions offers immediate water treatment modalities to remediate existing legionella bacteria contamination and preventive UV technologies to stop threats from entering your water systems. UV light inactivates the Legionella microbe by penetrating the cell wall and damaging DNA, destroying its ability to reproduce. Our program also includes a comprehensive Water Management Plan. Without one, Legionella or other pathogens could multiply to numbers that may cause disease. Protect your business, your patients, residents and guests with OMNI Solutions effective LUMARS program. Our programs and equipment will give you confidence that your water systems are secure from pathogens like Legionella and in compliance with best practices and legal requirements. When Legionella concentrations are present in facility water systems there is an increased risk of Legionnaires’ Disease outbreaks. CDC reports that there is a 25% fatality rate from Legionnaires’ Disease cases affecting immune-compromised individuals such as those found in hospitals, nursing homes, assisted living centers, and other long-term care facilities. What IS Legionnaires Disease (LD)? The bacterium Legionella can cause a serious type of pneumonia called LD. Those most at risk include persons who are at least 50 years old, smokers, or those with underlying medical conditions such as chronic lung disease or immunosuppression. Outbreaks have been linked to buildings with large or complex water systems including hospitals and long-term care facilities. Transmission of bacteria can occur via aerosols from devices such as showerheads, cooling towers, hot tubs, and decorative fountains. Conduct a facility risk assessment to identify where Legionella and other opportunistic waterborne pathogens (e.g. Pseudomonas, Acinetobacter, Burkholderia, Stenotrophomonas, nontuberculous mycobacteria, and fungi) could grow and spread in the facility water system. 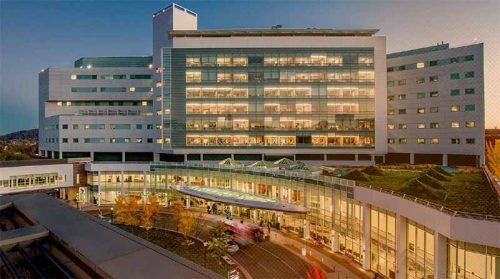 The University of Virginia hospital experienced a Legionella epidemic, infecting patient rooms. 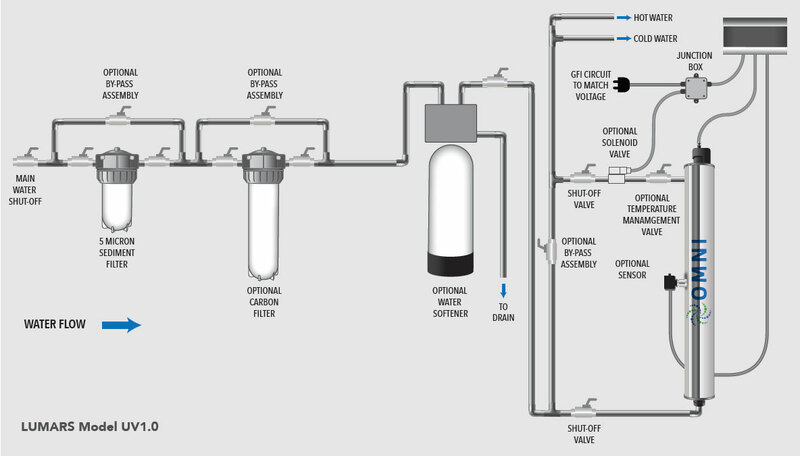 Following the outbreak, the location installed UV water treatment equipment on the building’s main water supply, and a 13 year study was performed. UV light inactivates the Legionella microbe by penetrating the cell wall and damaging the DNA, destroying its ability to reproduce. The Society for Healthcare Epidemiology published the study at which the University of Virginia Hospital collected 930 water samples over a 13 year period. All water samples tested negative for Legionella, despite documented contamination of a neighboring patient facility on the hospital campus. 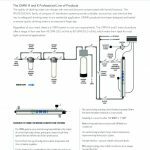 UV technology for water treatment is environmentally responsible, produces no harmful by-products, imparts no taste or color and yet disinfects water to meet the highest standards. The United States Centers for Disease Control and Prevention (CDC) has advised that even though outbreaks are largely preventable, cases of Legionnaires’ disease, a serious form of pneumonia caused by Legionella bacteria have increased by over 400% in the period 2000 to 2014. This finding has contributed to a number of significant developments in healthcare facility regulation and liability.